Did you know that a little yoga or meditation a day can save money on health care? The fact is, many health problems are directly related to stress. Consequently, in 80% of cases, patients turn to the doctor to solve their health problems and, of course, spend not small money on healthcare. What is most interesting, only 3% of doctors talk with their patients about how to reduce stress. Many studies show that practices such as yoga and meditation reduce the body’s stress response by strengthening relaxation response and lowering stress hormones like cortisol. Moreover, yoga itself has many health benefits and can improve heart health and relieve depression and anxiety. Dr. James E. Stahl and his team of Harvard researchers studied the program of relaxation of mind and body. This 8-week program taught participants several different mind-body approaches, such as meditation, yoga, mindfulness, cognitive behavioral skills, and positive psychology. Participants took part in weekly sessions, but also practiced at home. After the study, Harvard researchers and Dr. James E. Stahl discovered that people in the relaxation program used 43% fewer medical services than they did the previous year, saving on average $2,360 per person in emergency room visits alone. As you can guess, practices like yoga and meditation can significantly reduce your budget for healthcare. Moreover, yoga and meditation have become very popular these days. Nearly one in 10 Americans practices yoga, and 45% of adults who do not practice it say that they are interested in this practice. In addition to yoga, Americans also use other health therapies, such as meditation (8%) and deep breathing (11%). Many health care plans do not cover yoga or meditation. However, some of them provide discounts for fitness programs like yoga or tai chi. For example, States like Washington require private health insurers to cover licensed complementary health care providers, but most states do not do this. Recently, an article appeared in the Harvard Business Review, where it was written that health insurers should cover wellness and prevention-oriented therapies that are both low-cost and evidence-based, like yoga and meditation. The article showed a study of Aetna employees who participated in the company's mindfulness program and received a 28% reduction in stress, a 20% improvement in sleep and a 19% reduction in pain, and an increase in worker productivity of $ 3,000 per employee per year. “There are a lot of great studies on the biologic side, just not enough on the economics,” notes Dr. Stahl, who is looking to change that with his ongoing research. “If I have a tool that works in clinical medicine that has very little side effects and considerable benefit, why would I not use the tool?” Dr. Stahl says. 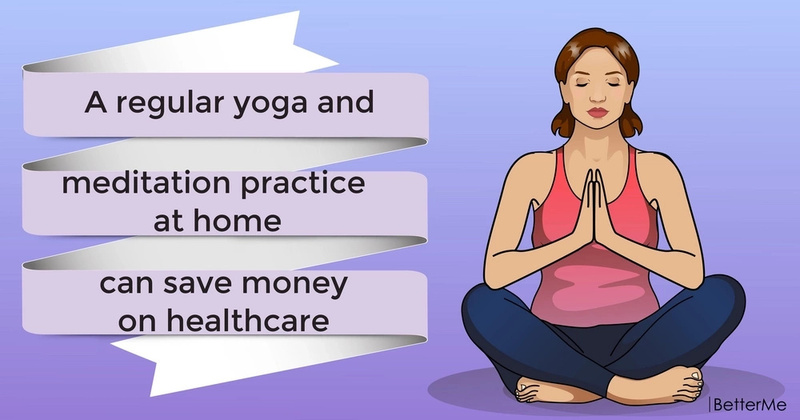 Despite the fact that they have not yet added these programs to your health insurance, you can practice yoga and meditation on a regular basis to save your money on healthcare.